Other than the slight crisp in the air and the leaves on the ground, I think it feels rather warm for Autumn. The girls are running around still warm in their jackets, no need for winter coats or hats. and we are making the most of this by exploring. We decided to explore one of the local woods. 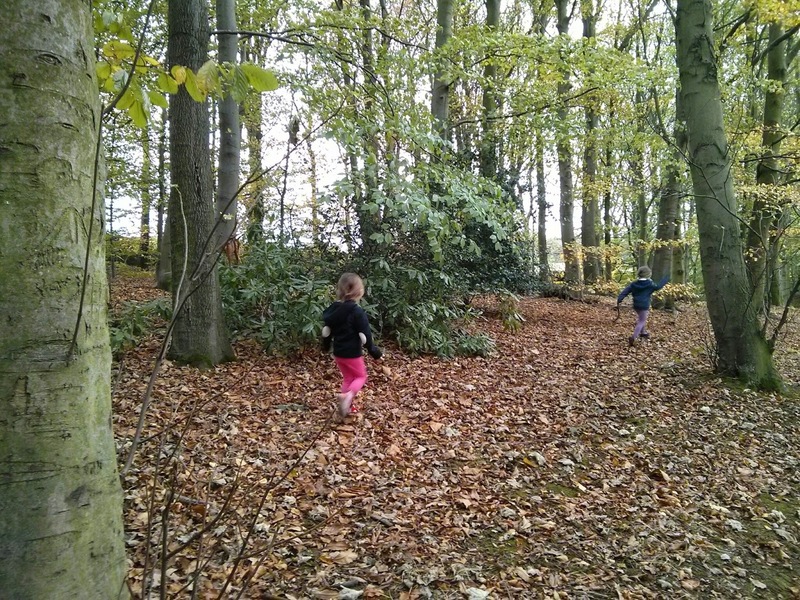 The girls loved running through the trees and kicking up all the leaves. I loved watching them chase each other and they were happy with the freedom to explore. Our spotty dog is also enjoying her walks more and whilst we still take it easy with her, she is starting to get excited at the sight of her lead and wanting to be outside more. 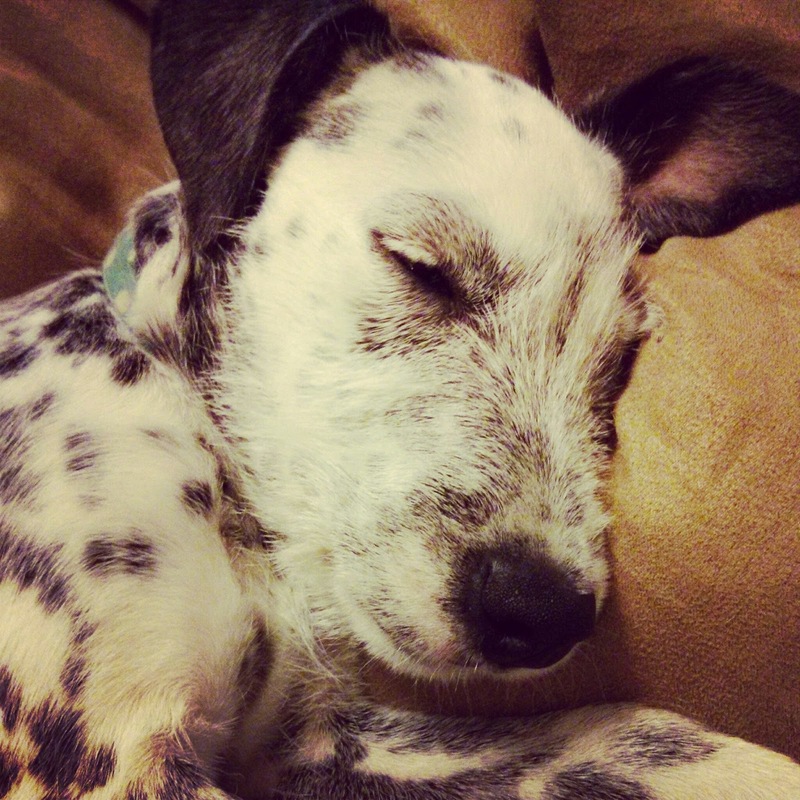 Of course all this walking does tire her out so when we get home we always have a sleepy spotty puppy.